Summer solstice 2016: First day of summer brings ‘strawberry moon’ – but what is the significance of the year’s longest day? The summer solstice is the longest day of the year – the day in which we can enjoy approximately 17 hours of daylight. 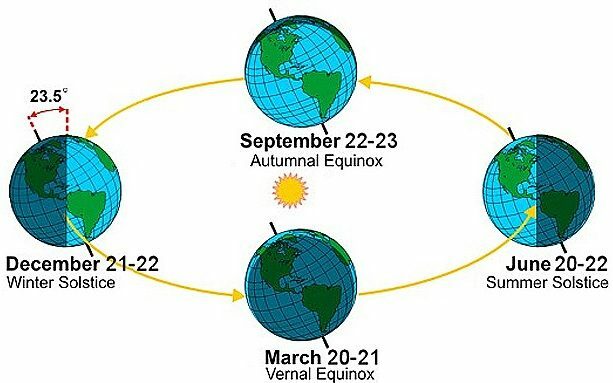 It might seem like good news, but for those of us in the northern hemisphere this is the time when the sun’s path stops moving northward in the sky and the days begin to slowly shorten. In the northern hemisphere, summer solstice takes place between June 20 and 22. The winter solstice (the shortest day of the year) falls between December 20 and 22 in the UK. This year it’s on Wednesday, December 21. Here’s a list of the dates and times of solstices & equinoxes this year. So the days will be shorter now? Yes, but we won’t notice a difference for a while. The shortest day of the year isn’t until December – known as the winter solstice. The June solstice happens when the tilt of Earth’s axis is most inclined towards the sun, directly over the Tropic of Cancer, so that’s why we get the most daylight of the year. During the winter solstice, the Earth’s axis is tilted furthest away from the sun directly over the Tropic of Capricorn bringing only a few hours of daylight. The shortest day of the year lasts for 7 hours 49 minutes and 41 seconds in Britain. This day is 8 hours, 49 minutes shorter than the June solstice. Read everything you need to know about winter solstice here. The term ‘solstice’ derives from the Latin word ‘solstitium’, meaning ‘sun standing still’. Some prefer the more teutonic term ‘sunturn’ to descibe the event. Stonehenge in Avebury, Wiltshire is the most popular place for Pagans to celebrate the longest day because it famously aligns to the solstices. The rising sun only reaches the middle of the stones one day of the year when it shines on the central alter. 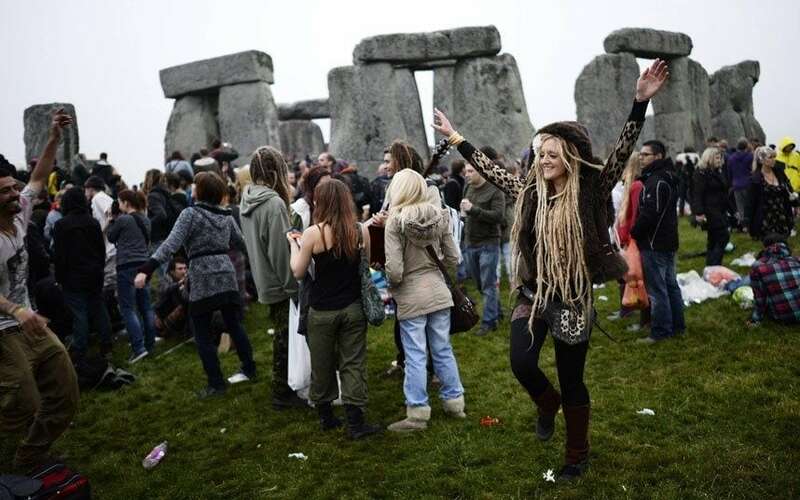 This year, the midsummer solstice is being celebrated at Stonehenge on Saturday into Sunday and at the Avebury stone circle from Friday until Monday. The English Heritage-run site is expected around 20,000 visitors. The day marks the ancient middle of summer, even though we haven’t had the hottest day. It has significance for pagans who have always believed that midsummer day holds a special power. Midsummer’s eve was believed to be a time when the veil between this world and the next is at its thinnest, and when fairies were though to be at their most powerful. 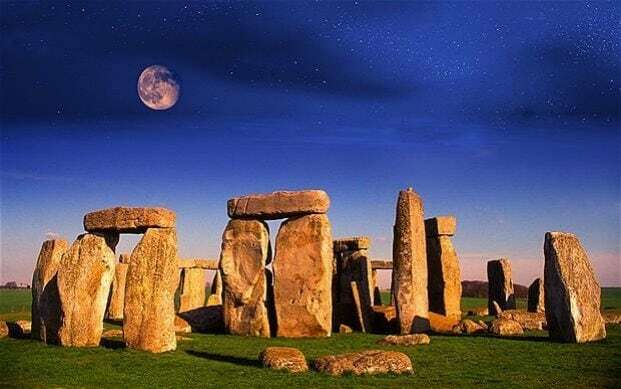 For the first time since 1967 the summer solstice coincided with a rare ‘strawberry’ moon and the 17 hours of sunlight gave way to a bright moonlit sky in many parts of the country. Despite the name, the moon does not appear pink or red, although it may glow a warm amber. The romantic label was coined by the Algonquin tribes of North America who believed June’s full moon signalled the beginning of the strawberry picking season. Google marked the occasion with a doodle in the US. 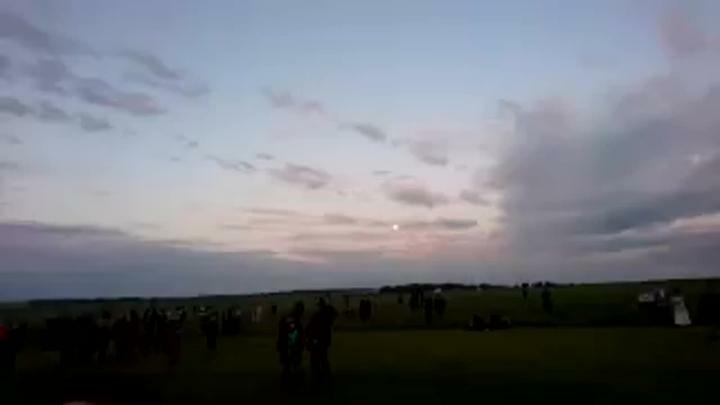 Here are some pictures of a previous summer solstice at Stonehenge. It’s slightly quieter at the Avebury stone circle, Britain’s second greatest prehistoric site, about 20 miles from Stonehenge. In Penzance, the 26th Golowan Festival celebrates the summer solstice from Friday June 17th 2016 until the weekend of 25th – 26th. Traditionally, this summer solstice period fell between the planting and harvesting of crops, leaving people who worked the land time to relax. This is why June became the traditional month for weddings. The first (or only) full moon in June is called the ‘honey moon’ because many believed it was the best time to take honey from beehives. Why does the moon appear larger when low in the sky? During the summer months, the full Moon also shares this part of the sky and its proximity to the horizon can play visual tricks thanks to the ‘Moon illusion’. This makes a rising full Moon seem much larger than it actually is. But why does this happen? Well here it is. Happy Strawberry Full Moon & Summer Solstice! It happens only every 46-49 years. For summer stargazers out there, it’s the first chance to see a full moon on the summer solstice in nearly half a century. According to AccuWeather.com, the last time these two phenomena coincided was back in 1967, and it won’t happen again until 2062. No wonder yesterday and today were full of good news for my Team and I. By the way, a Solar Year of 365.2422 days is slightly longer than the modern calendar.